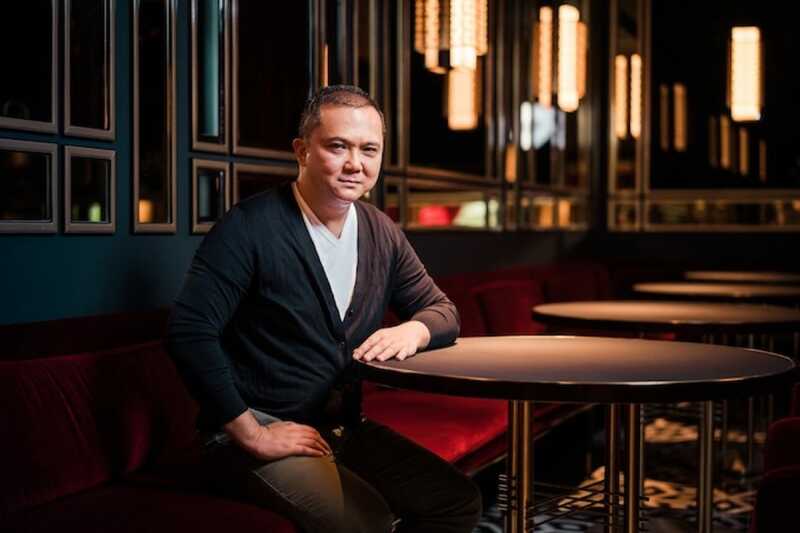 Opening Madame Fan, a Chinese fine-dining restaurant—his first in Southeast Asia—the famed restaurateur shares about his new food aggregator mobile app and his eventual plans to stop opening restaurants. 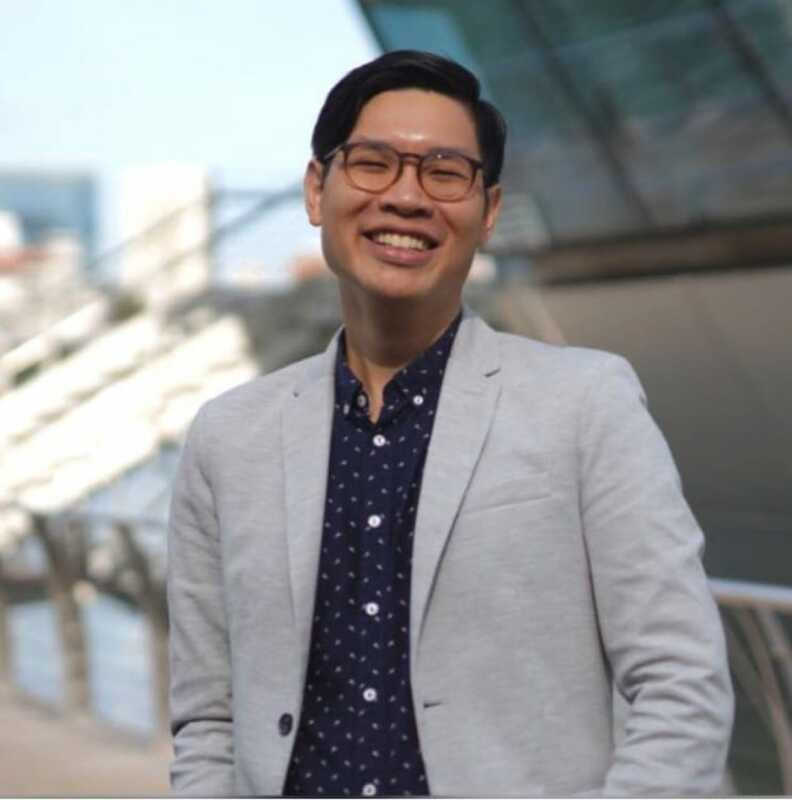 Launching his latest restaurant, Madame Fan, a swanky 222-seat Chinese fine-dining restaurant/lounge bar—his first concept in Singapore—last week, Yau tells the MICHELIN Guide Digital that his “day job at the moment” involves working on a taste aggregator app, Soft Chow. The beta version of the app is slated to be launched in September this year in London. Indeed, his eyes lit up as he spent close to one-third of this 30 minute-long interview dishing out details of Soft Chow. The app is touted as a community space where users can discover food and eating haunts of fellow ‘tastemakers’. Yau points out that the validity of the ratings-oriented system adopted by websites such as TripAdvisor is questionable. “You don’t know these 10,000 people who have rated the restaurant and what does a ‘five star’ rating from them mean?” he says. For Soft Chow, the focus is more qualitative. A user’s ‘reputation’ is based on making good food recommendations that are also verified by other users. He says: “It is similar to Spotify where users can view other people’s music playlists. Users on Soft Chow can discover other people’s ‘eat lists’, to see where they have eaten at and gauge their food preferences. If your recommendations are amazing, I will follow you on Soft Chow”. “People can decide whether you’re good enough for me to follow or if these places are pretty sh**,” he says with a chuckle. “Like Uber, they can rate both the restaurants and tastemakers”. "Eventually, I do not want to do any restaurants". Why is the famed restaurateur making inroads to becoming a food technology entrepreneur? Yau thinks that such an app can “can bring an agenda to a critical mass of billions of users”. 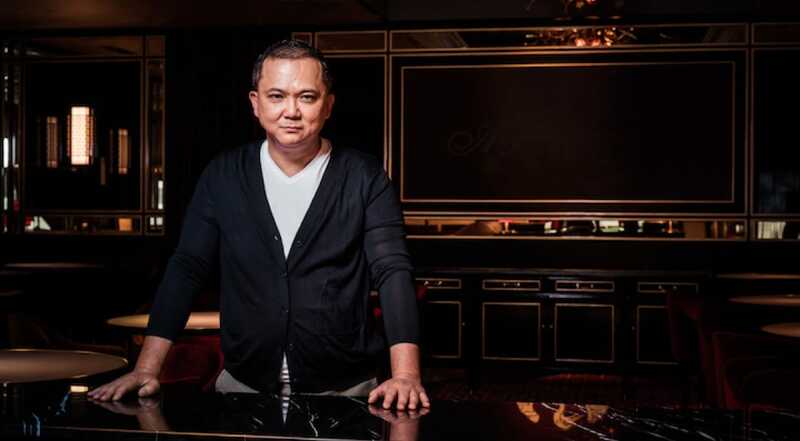 That said, Yau, who was lauded with the Order of the British Empire (OBE) in 2006 for his contributions to the UK’s restaurant industry, is still a sought-after restaurant consultant with projects from Moscow to Monaco. In July, he will open a Chinese restaurant in Seoul, followed by Yaumay, a “bespoke dim sum restaurant” in Tokyo later this year. The main dining hall at Madame Fan. While he has ambitious high-tech plans with his mobile app, Yau remains old-school when it comes to designing the sprawling 467-square-metre Madame Fan, that looks like a throwback to decadent jazz clubs circa post-war 1950s. 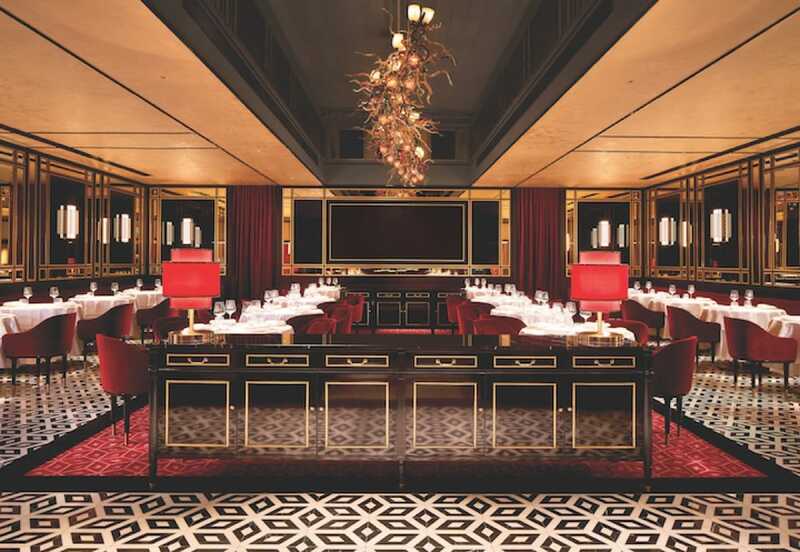 The main dining room, which sits about 100 people, has cosy round tables encircled with plush upholstered crimson red chairs and booth seats that are matched with dark red carpeting next to luxe monochromatic marble flooring. Waiters in smart white tuxedos give off a debonair flair, while a DJ will spin eclectic ambient music. Yau got his old school inspiration from Madame Fan’s location—the NCO Club, a former non-commissioned officers club for the British Military that opened in 1952. He says: “This heritage building reminds me of big mansions in Paris”, he explains. “Madam Fan is almost like the host of Maison Fan. I really like emotionally-connected dining venues that have interesting energy”. An example, he adds, is a popular restaurant in Phuket, Kajoksee, which drives the atmosphere through the music tempo and choreograph the entertainment. He adds: “That excites and inspires me and I want to incorporate this in a Chinese restaurant, rather than a straightforward mid-market Chinese restaurant”. Food-wise, the menu is very much anchored on Chinese cuisine, with a few eclectic touches from Yau, which he says “is like coming to a dinner party at Alan Yau’s home”. 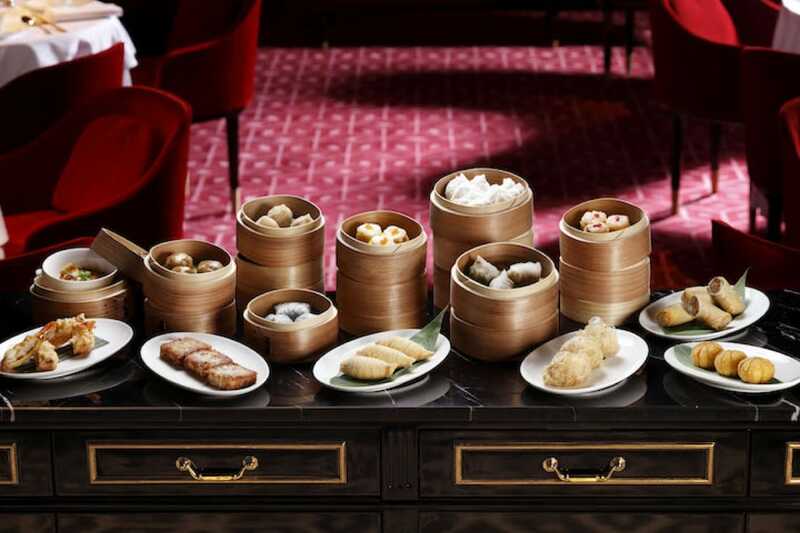 Signature dishes include drunken crab rice noodles with a 20-year-old Gu Yue Long Shan rice wine and handcut Taiwan-style noodles with wind-dried pork and la la clams, and dim sum items such as siew mai and flaky Mooli turnips puffs, which are also served in Yau’s Duck and Rice restaurant in London. Developing the dishes, he says, was the most exciting part of working on Madame Fan. He says: “As most of life and projects are in the West, sourcing for ingredients for Chinese food is limiting. But in Singapore or Asia, it is like a playground for live seafood and vegetables. It is amazing”. The idea of starting a restaurant in Singapore, which he visits every two or three months, came through an old business colleague here. The Lounge at Madame Fan that serves classic cocktails and Old World wines. Madame Fan is very much deeply-rooted in “old school hospitality”. 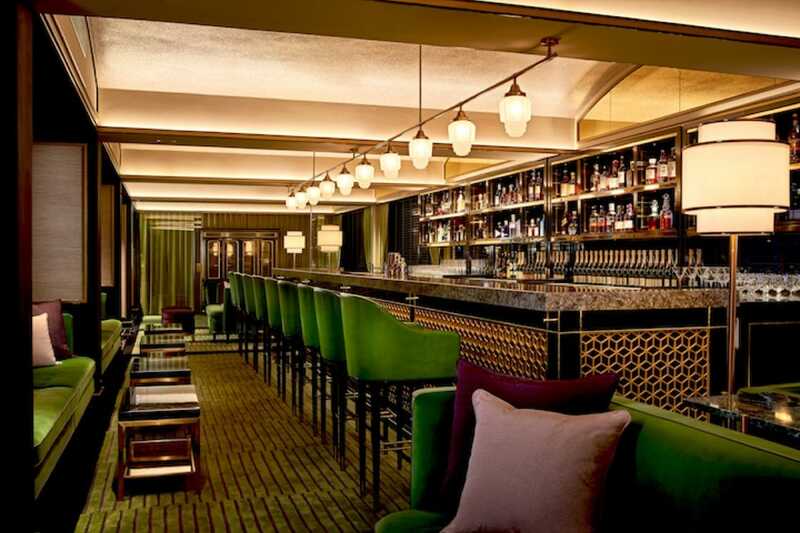 For example, the bar sticks to the classics, from its cocktails and Old World wines in the Lounge, to the French orthodox structure of floor operations and dining table management (section waiters are supported by commis waiters, who both are under the charge of the maître d’hôtel). “Over the last 10, 20 years, there has been a superficial element of chasing new-school trends and fashion that took over”, he observes. “Having old school hospitality is like a reaction to that”. However, he does not cling onto tradition excessively. He bills Madame Fan as an “etiquette-free concept”—where diners can opt for individually-plated dishes (European-style) or served communally (Asian-style) with “dishes served right after the food comes out from the wok”. Diners get to decide the order of the courses and which ones are for sharing. “I believe that’s how the new middle class live in Asian cities. They don’t want to eat too much, but taste a lot more”, he says. Madame Fan’s strong identity is a trademark of Yau’s eateries including Yauatcha, a one-Michelin-starred dim sum restaurant and Yamabahçe, a turkish ‘pide’ cafe, both in London. Although he has sold some of his restaurants such as Hakkasan, the worldwide restaurant chain continues to do well and is valued at about a billion dollars. Asked about the secret to its longevity of Hakkasan, Yau says it is about having “a good and deep foundation” for his restaurants. He says: “At the beginning, it is important to understand the ambition and vision of the project that drives the level of post-opening engagement. This ensures a strong foundation that, even after I leave, the new owners cannot try to shake it”. Madame Fan is at 32 Beach Road, The NCO Club. All photos are courtesy of Madame Fan.